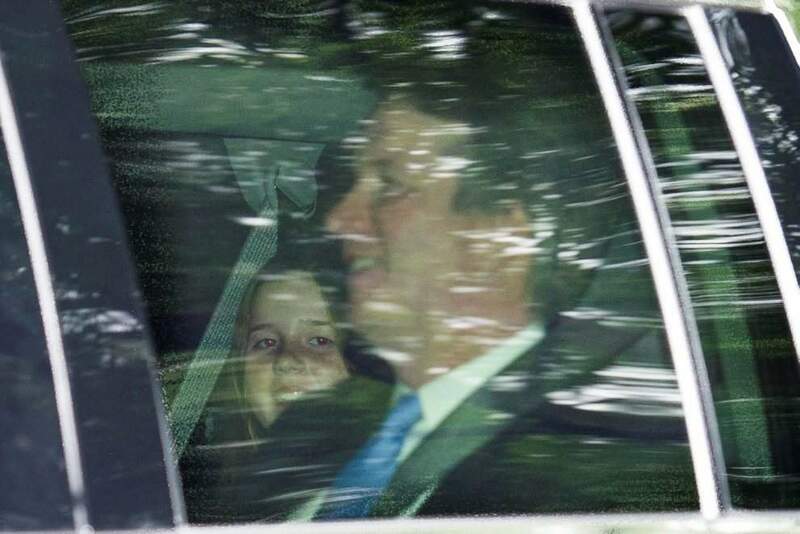 Supreme Court nominee Brett Kavanaugh and his daughter Liza leave their home in Chevy Chase, Md., enroute to his swearing-in ceremony for the Supreme Court, Saturday. 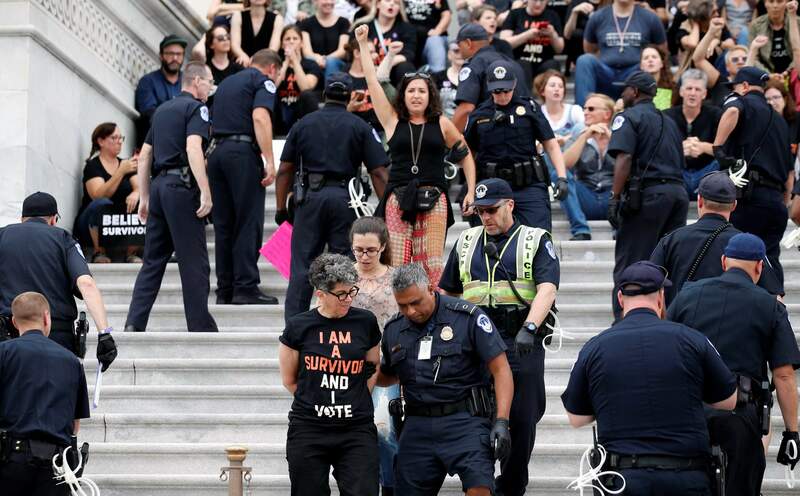 Activists are arrested by Capitol Hill Police officers after occupying the steps on the East Front of the U.S. Capitol as they protest the confirmation vote of Supreme Court nominee Brett Kavanaugh on Capitol Hill, Saturday in Washington. Vice President Mike Pence announces the result of the vote for the confirmation of Brett Kavanaugh to the Supreme Court in Washington. 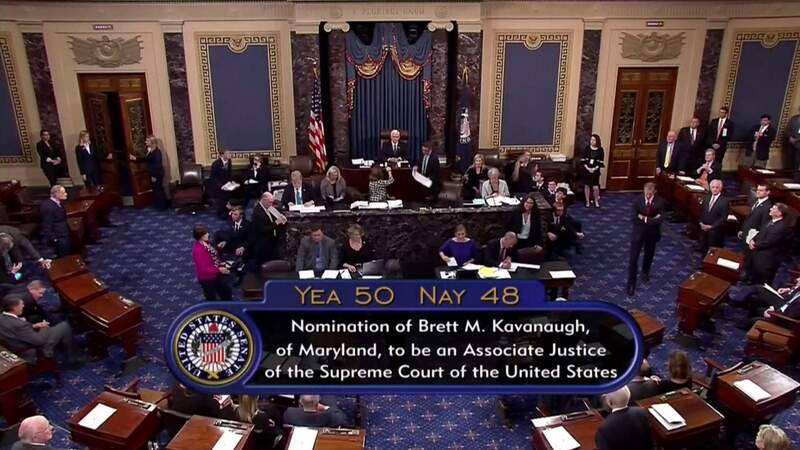 The bitterly polarized U.S. Senate narrowly confirmed Brett Kavanaugh on Saturday to join the Supreme Court, delivering an election-season triumph to President Donald Trump that could swing the court rightward for a generation after a battle that rubbed raw the country’s cultural, gender and political divides.